This is a fish that starts out very small and quickly grows to about 18-24 inches. 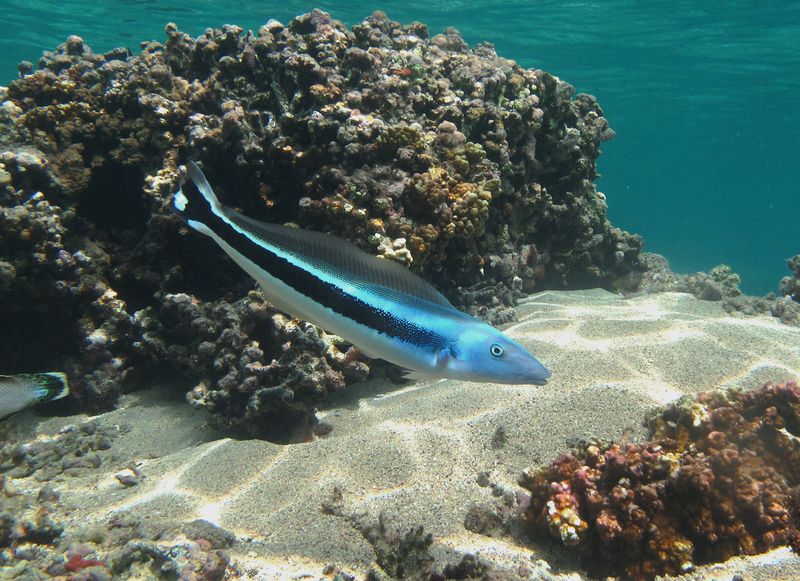 Juveniles are blue with a white stripe, but the blue fades away as the fish gets larger. Juveniles don’t always eat but once they start to they will pretty much eat anything they can catch. Because of this they will eat all kinds of invertebrates, so you need to be careful when placing one in a reef tank. They do well in FO or FOWLR tanks. They’re fast swimmers but need some rock work to hide in.